This is an easy one that you can use for a ton of different things like making valentines or decorating gifts bags, wrapping paper or gift tags. 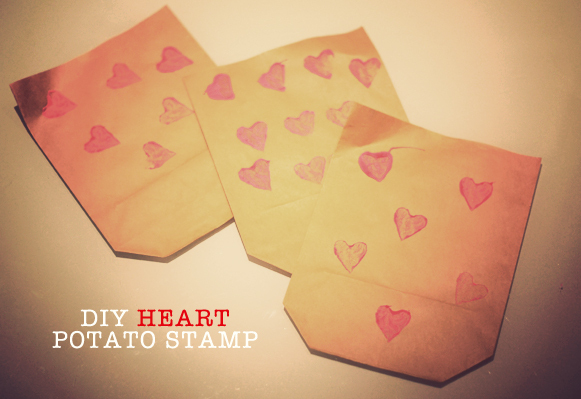 We used our heart potato stamp to embellish envelopes for the Valentines pendants Alec made for his friends this year. 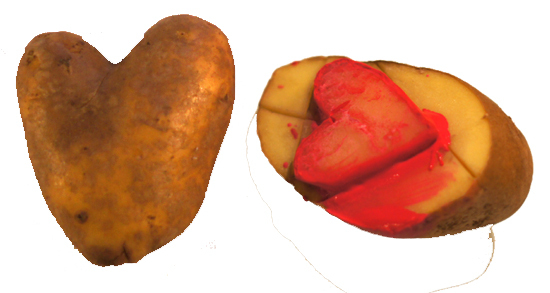 All you need is a potato (yours doesn’t have to be heart-shaped to begin with! ), paint (I used pink acrylic paint), and something to stamp. I used a knife to cut out my heart shape, but if you have a cookie cutter that is the right shape and size, you can use that too. 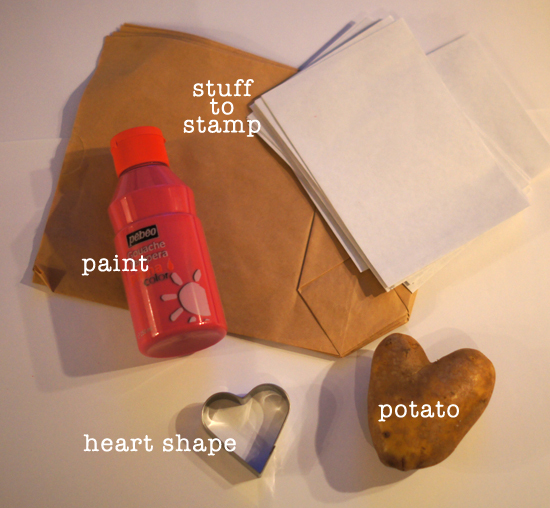 We stamped paper bags and envelopes. You’ll also need a lid or a shallow dish to put your paint in for stamping. I loved these last year and am so glad that she’s kept going. So funny and I can imagine the fun she’s had creating these! Thank you for sharing.